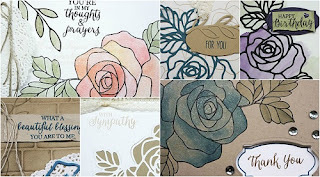 Just Julie B's Stampin' Space: Rose Wonder Card Set! 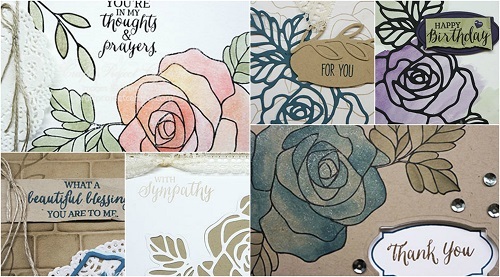 Treat yourself to some relaxing watercolor “therapy” and, at the same time, create a gorgeous set of greeting cards, complete with a very easy-to-make packaging. 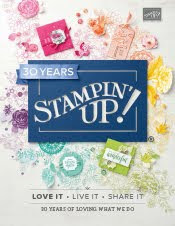 Since this card set has a relatively thin profile, why not create several gift sets to have on hand going into the new year? They certainly won’t take much storage space, and you’ll be so glad to have them when you need a lovely gift. This pretty project was made by Regina Andari and you can get her tutorial when you subscribe to the month of January over at Craft Project Central.